Posted on April 14, 2018 by Wise Eats. When you’re craving take-out, you don’t have to sacrifice your health goals in order to get your fix. Try Wise Eats “Chicken Wise Rice”, a healthy spin to classic chicken fried rice. Made with grass fed butter, avocado oil, white jasmine rice, and liquid aminos instead of soy sauce. It’s a fantastic and energizing alternative to fast food, which will leave you feeling tired and sick. For more healthy eating tips, join Wise Choice Nation over at Wise-Eats.com! This recipe is made with only real, whole ingredients. It is rich with vitamins and minerals that help fight disease and prevent cancer. White jasmine rice is a clean source of carbohydrate, providing energy to fuel your day-to-day activities and workouts. 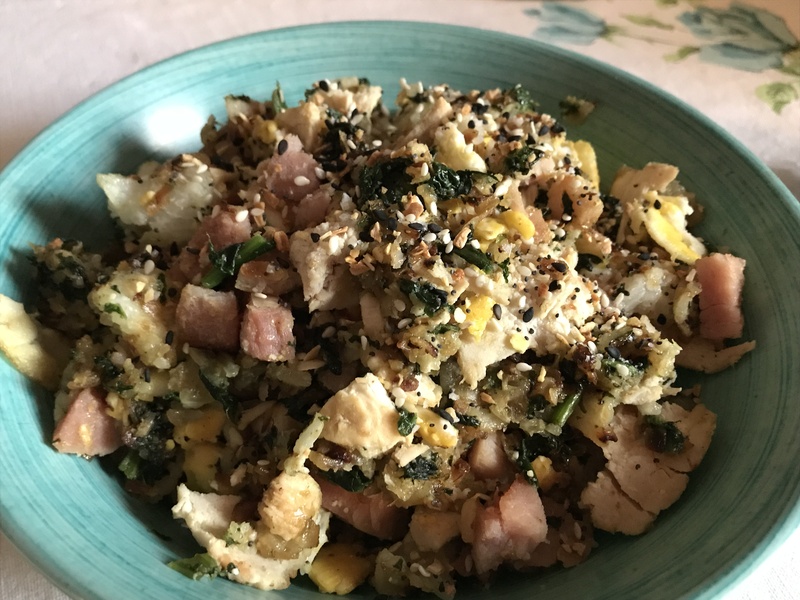 The chicken breast, hemp seed, and eggs provide some of the highest quality protein you can get anywhere, along with some essential fatty acids and vitamins. Add in a couple servings of vegetables with the kale, onion, and florentine mix to provide your fix of antioxidants, calcium, fiber, and other vital nutrients. Spice it up with some herbs and liquid aminos to provide extra flavor and amino acids. Then top it off with some shredded almonds or pine nuts to give it a little crunch and a healthy fatty acid boost. 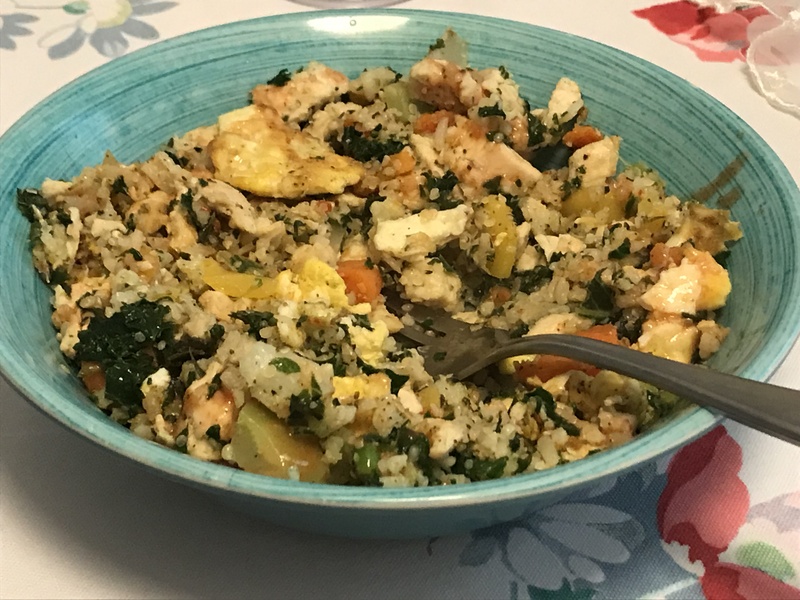 The result is a well-balanced, delicious meal that knocks conventional fried rice out of the park. And if you leave a comment on this recipe, I might just come over to your kitchen and cook it for you too! Preheat two skillets with some grass-fed butter or avocado oil. Sautee’ kale, onion, and garlic in one pan, scramble eggs in the other. Add desired servings of jasmine rice to kale pan. Add steamed Florentine vegetables to kale pan, if desired. Add chicken breast to kale pan. Sprinkle in hemp seed and spices. Combine scrambled eggs with rest of the mixture. Place desired amount in serving bowl. Top with liquid aminos and shredded almonds. 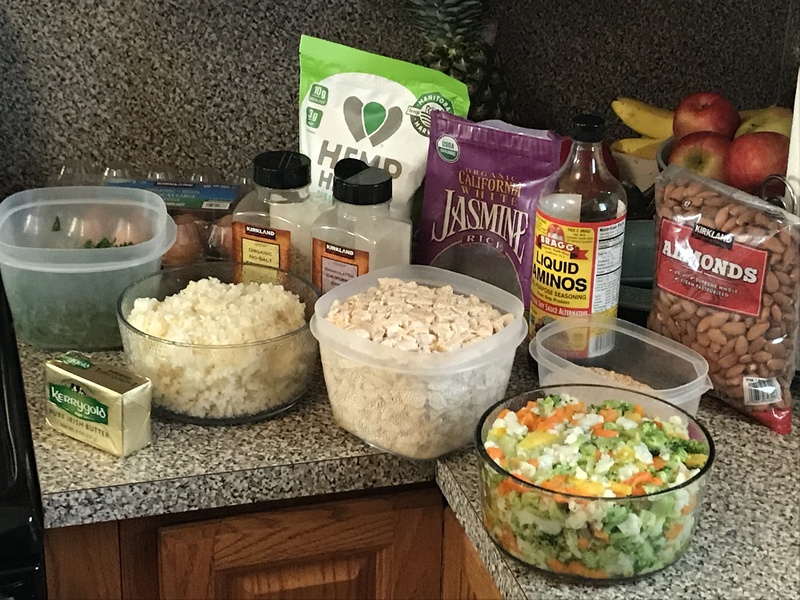 Make large batches to save for lunches and other meals on the go. Optimize with Wise Eats! Satisfy your appetite without sacrificing your goals. Ditch the Chinese and get in the kitchen. Make a wise decision.